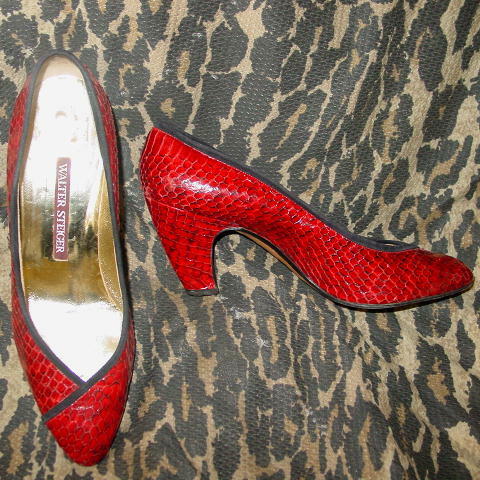 These vintage red with black accents snakeskin pumps are by Walter Steiger. 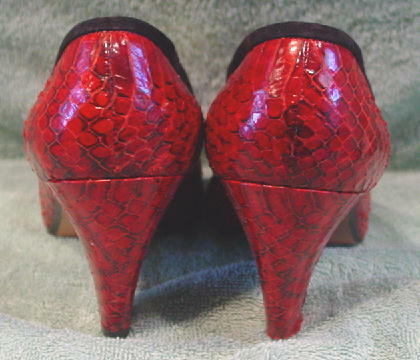 They have a black fabric accent trim around the foot opening which extends diagonally on one side of the toe area. They have gold lame leather linings and insoles. They were worn in a runway show.